We will be hosting three book publishing parties in September and October. Maine to celebrate this wonderful and important collection. 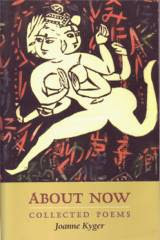 Joanne will give 4 readings in Maine to celebrate the book: University of Maine Orono, thurs. 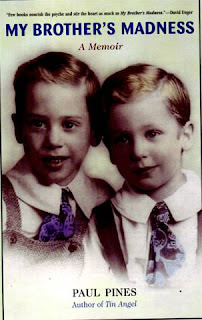 sept 27, 430 at Soderberg Center Auditorium, Jenness Hall; Gulf of maine - Brunswick Sunday sept 30, 500 PM; Bates College lewiston tuesday oct 2, 415 PM - Benjamin Mays Center, 95 russell street, and USM portland thursday oct. 4, 7 PM, usm glickman library, 7th floor. 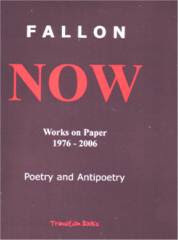 On Saturday, October 20,4 PM, we will host a publishing party for NOW - works on paper 1976 - 2006 - Poetry and Antipoetry by Tom Fallon. For decades Tom has been aon the leading edge of poetry in Maine (and anywhere) and his work has certainly not been widely available. The back of this welcome new book states that Tom " began to create in the Seventies with free verse and moved on to explore literary form with concrete poetry, prose poetry, antipoetry and other forms." His work connects to jazz and classical music, to modern painting, to linguistic explorations, and to his life at the mill in Rumford, Maine, among many influences. A rare treat. Come listen! Later this fall we will have more readings (after we spend two weeks in Italy) including Candice Stover (from her new book Poems from the Pond, from Deerbrook Editions), April Ossmann (her new book Anxious Music, from Four Way Books) and Russell Libby (his new book Balance - A Late Pastoral, from Blackberry Books).Poet, author and Nation columnist Katha Pollit will read here in January. We look forward to all of these events.